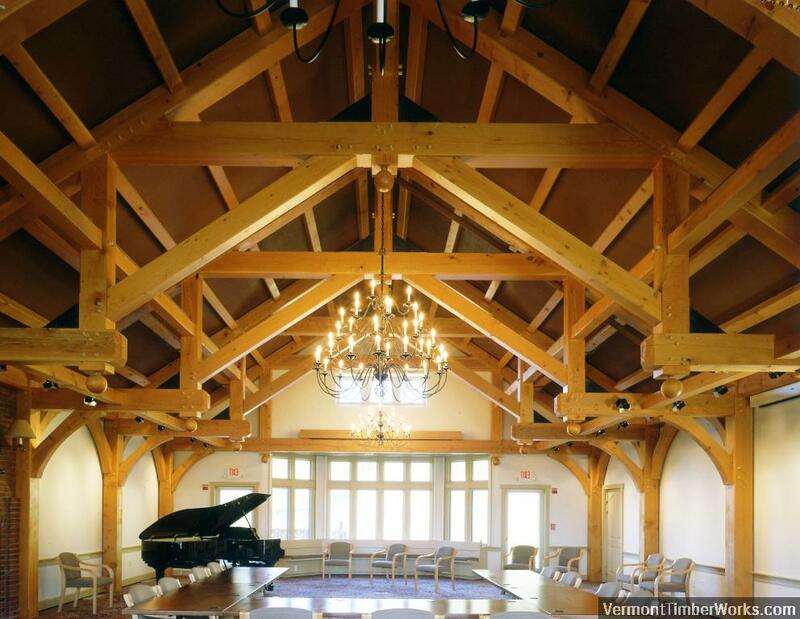 The traditional hammer beam truss design is open and fabulous. However, structurally, it can be an engineering challenge, which is fine, because Jessie is always up for a challenge! We get a lot of questions about the home pictured above. 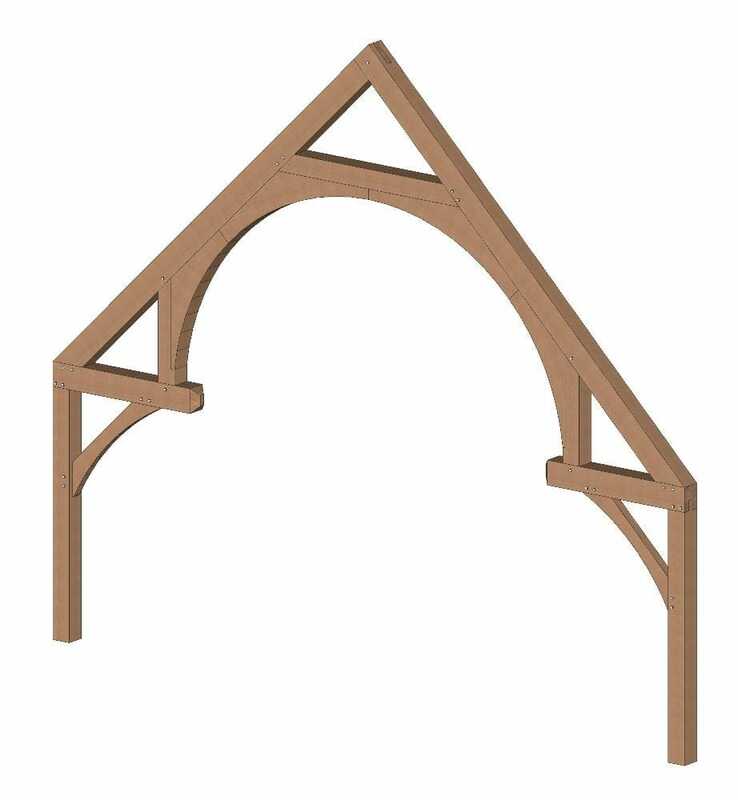 Who wouldn’t want this hammer beam timber style in their great room? The trusses are open and spacious. What allows for the spacious hammer beam design, sans tie rod, is the building, which extends to the left and right, creating a buttress. 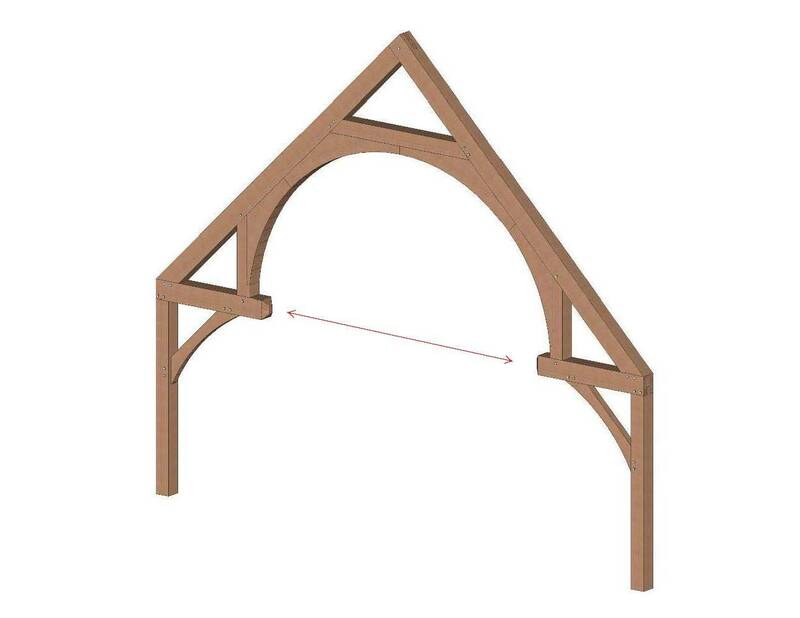 The buttress is important because it prevents the truss from pushing out. (Pushing out would be bad. Very bad). If in your design, a buttress isn’t happening, then you can add a solid bottom chord (like our new logo!) or a steel tie rod. Both options will resist the push, and hold strong. Strong is good! The modified hammer beam is pretty fabulous also, a bit stronger, but still often needs a tie rod. Not in the case below, however. This project is in Stowe, VT. Can you say snow load? I was surprised by the design, but once I saw the frame, it made sense. To maintain an open design, and keep the building safe for heavy snow loads, there is a combination of appropriate timber sizing and hidden steel to re-enforce the joinery. 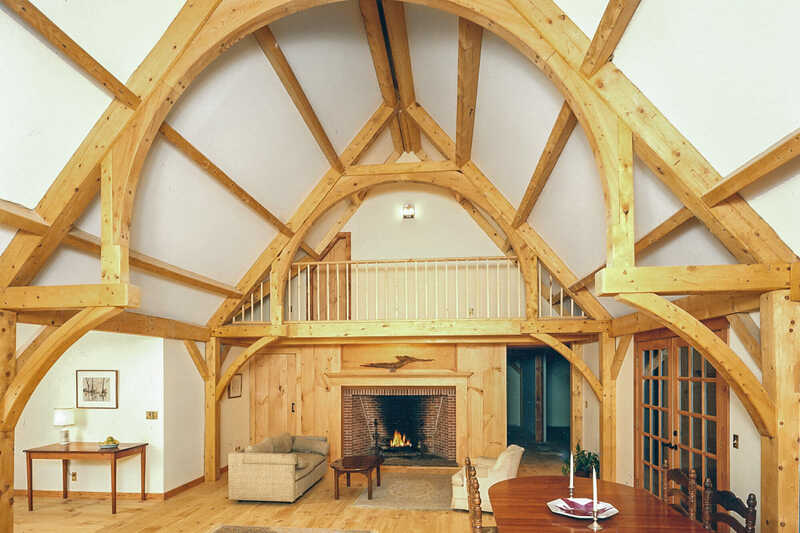 Also, If you like the truss designs in this post, or have any timber work questions, we encourage you to get in contact or ask an expert! Haha I like the post title! & I prefer the traditional hammer beam, but they’re both beautiful. Yes you are and that’s why you are the best. We are proud to have you as our VP and will hold on to you tight! Modified hammer beam for me! But, I agree with Margaux, both are beautiful. The traditional hammer beam indeed. IMO, the steel rod adds to the beauty! 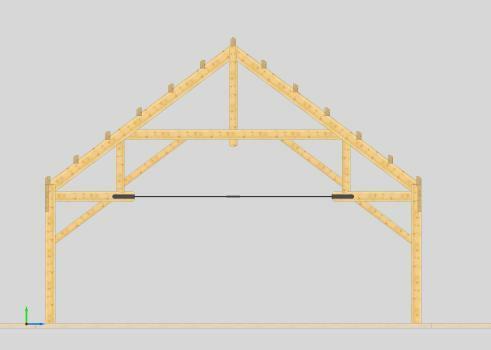 I built my own hammer beams based on the last pic above and can tell you the steel tie rod is a good plan in the middle truss design. Just wondering about steel cable vs, tie rod and how big around the tie rods are. Wish I could have afforded to have you build mine for me. I’m in the UK so it’s still easy to see mediaeval originals but man, it’s lovely to see art and engineering like this still being made and used today. Being a music producer who records live in beautiful spaces it’s traditional for me… the top room looks glorious and I’ll bet it sounds great too! Humble respects!